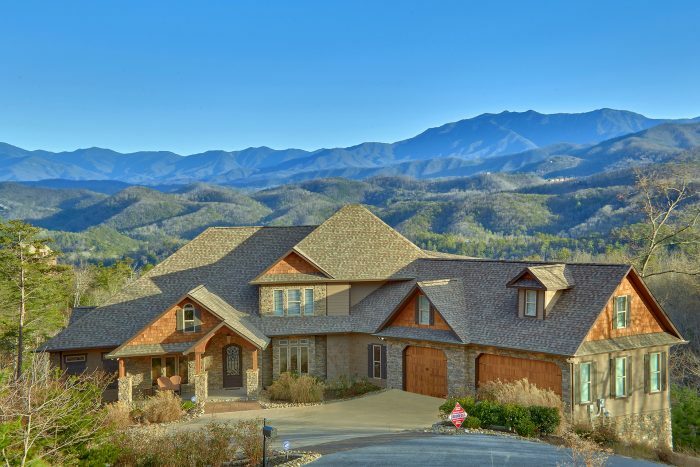 Ready to experience a luxury Smoky Mountain vacation that's like no other? 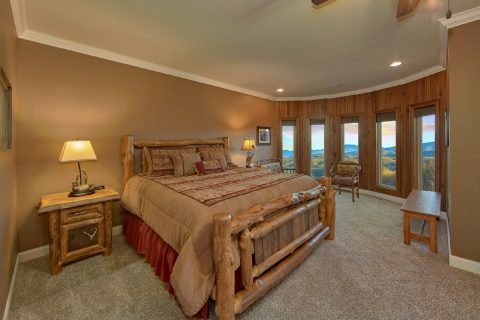 Simply reserve "Bluff Mountain Lodge" and you'll be ready to enjoy a premium getaway only minutes away from Pigeon Forge and Wears Valley, TN! 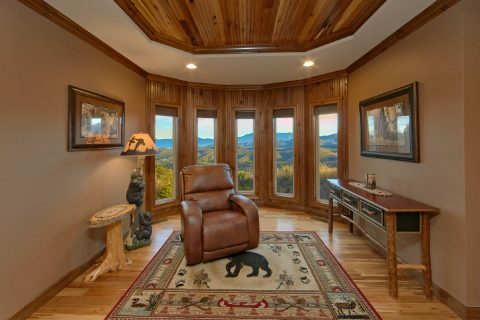 This unforgettable mountain villa offers expansive views of the Great Smoky Mountains, so you're bound to relax at this property's beautiful location. 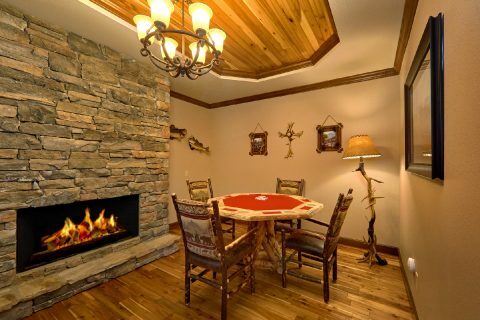 With room for up to 20 guests, "Bluff Mountain Lodge" is ideal for a family getaway or a group vacation. 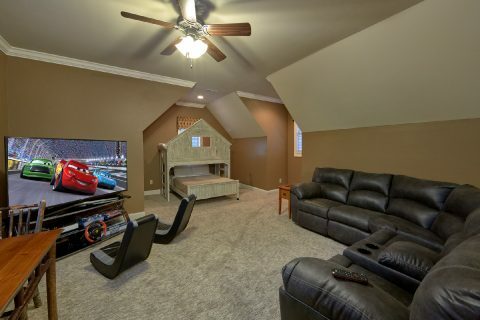 Better yet, this property offers a large 3-car garage so you can enjoy covered parking for several vehicles. 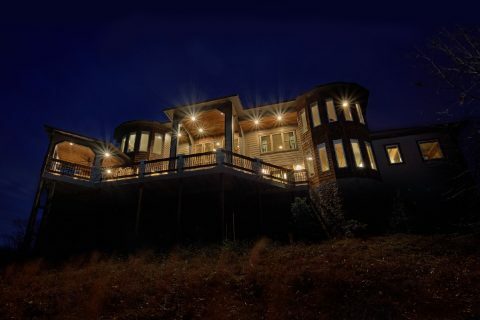 With over 6,500 sq. 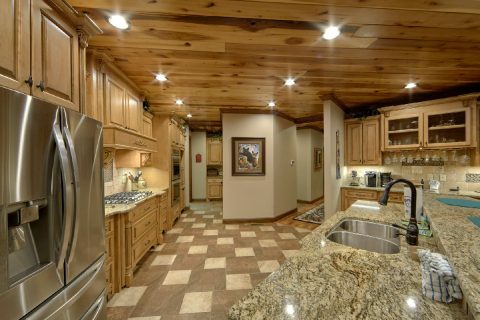 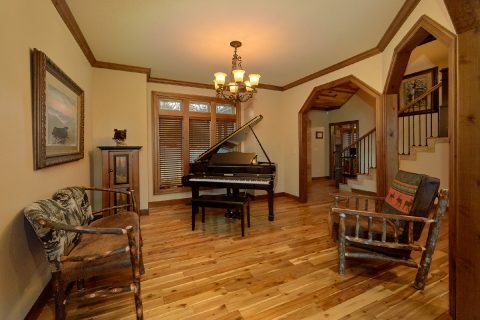 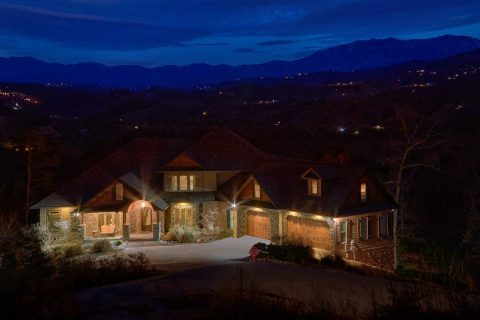 feet, this spacious home is a true mountain mansion! 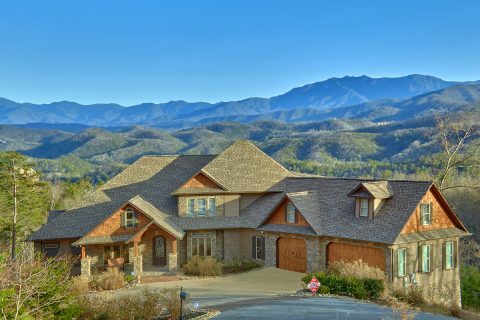 This impressive 6 bedroom rental is only minutes away from the biggest sights and attractions in the Smokies. 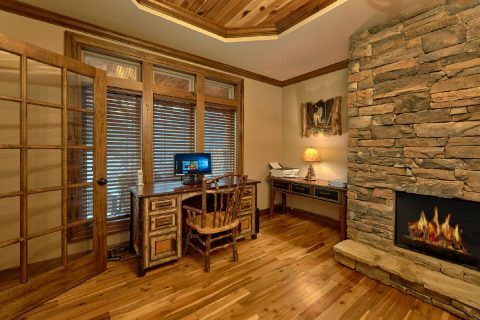 In fact, Downtown Pigeon Forge is only a 7-mile drive from "Bluff Mountain Lodge." 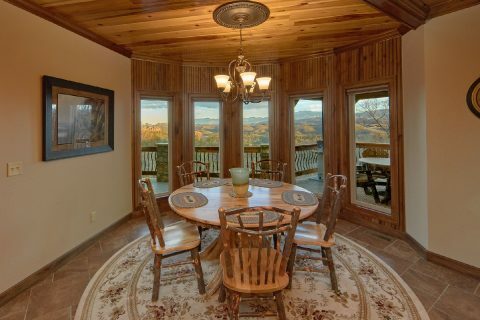 This vacation home is also 10 miles away from scenic Wears Valley, where you'll find charming mom and pop shops and an entrance to the Great Smoky Mountains National Park at Metcalf Bottoms. 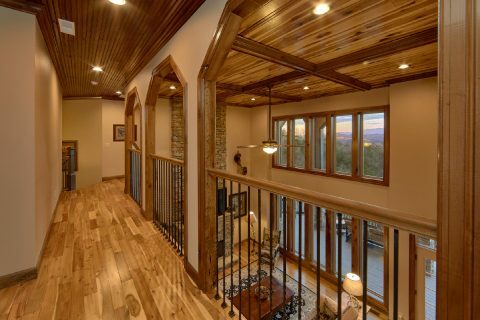 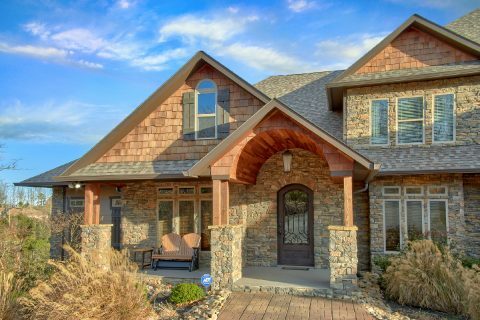 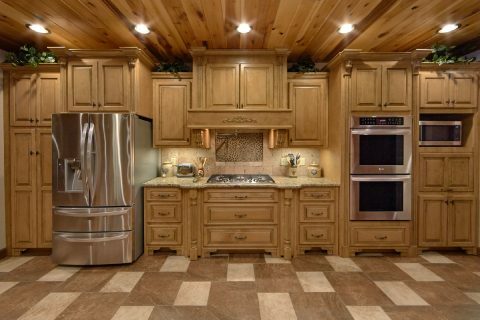 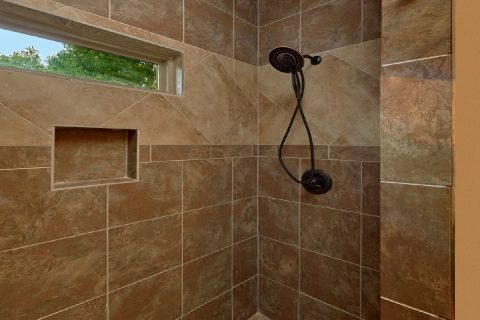 When you aren't out enjoying fantastic destinations like Dollywood or hiking to waterfalls in the national park, you'll love relaxing at this luxury home that's decorated with stacked stone and custom hardwood accents. 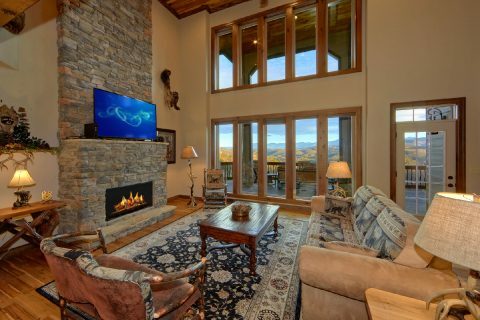 As soon as you step into the main level of this luxury mountain lodge, you'll be glad you reserved a truly comfortable rental for your getaway. 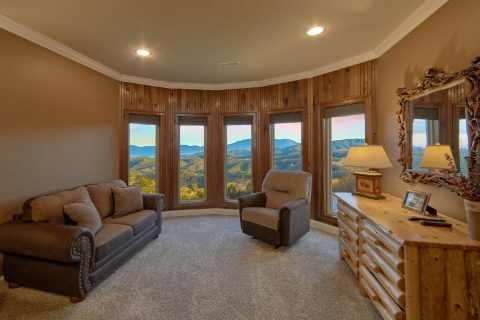 From the stunning grand staircase to the large picture windows, you'll be glad you reserved such an impressive home in the Smokies. 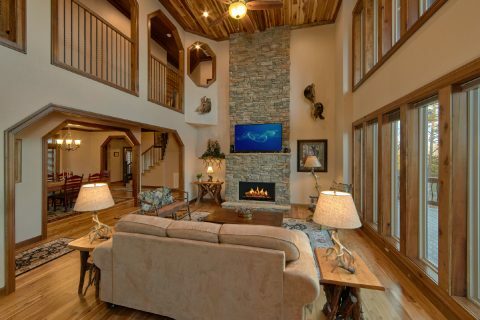 On this floor, you can enjoy relaxing in the main living room that features a television and a large stacked stone gas fireplace. 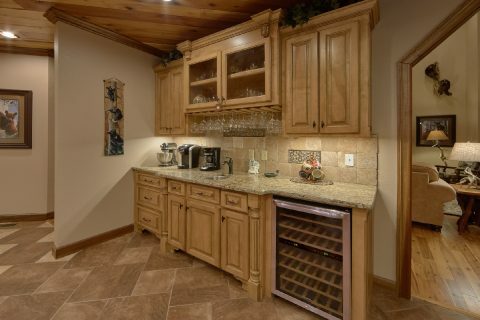 Nearby, you'll find an excellent kitchen area that comes complete with a double oven, granite countertops, a large pantry, and a separate sink area complete with a wine fridge. 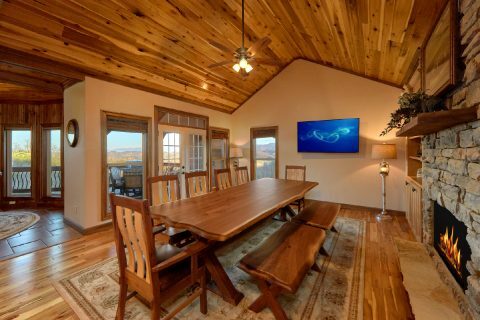 You can enjoy delicious meals prepared in your kitchen in the dining nook or the dining room with large windows that allow you to take in the gorgeous mountain scenery. 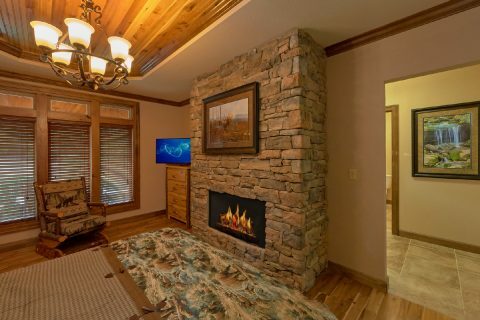 This level is also home to a bedroom with a queen bed, chest of drawers, TV, chair, and a stone fireplace. 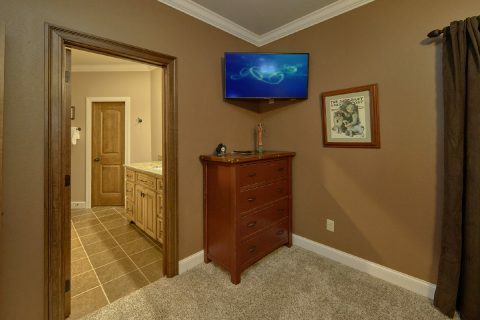 Also on this level, there is an office area with a computer by the kitchen. 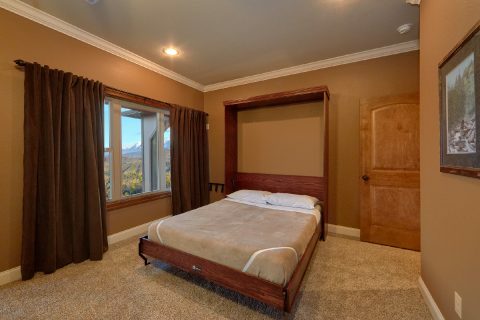 From here, you can step outside onto your rental's large deck to take in the beautiful mountain view. 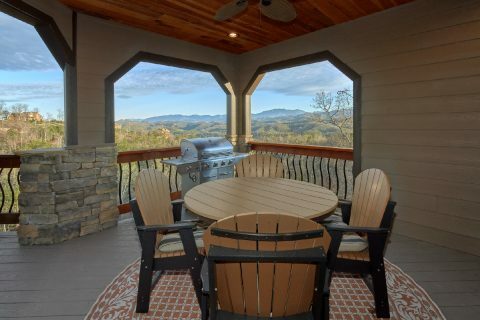 There's even a covered deck area where you can sit back while you take in this excellent vista. 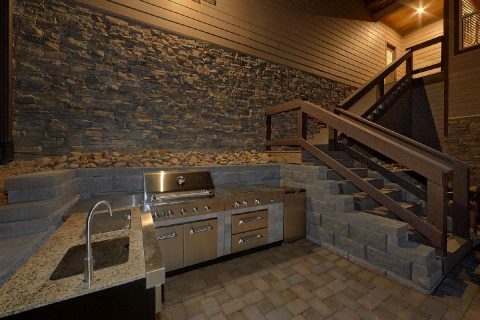 For even more relaxation in the outdoors, you can step outside onto a lower patio area that comes complete with an outdoor fire pit and a kitchen area with a sink and grill! 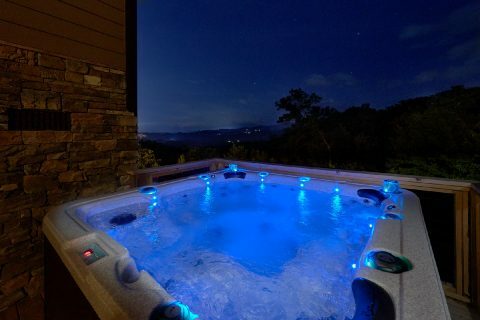 Enjoy a nice night by the fire pit with your friends and family while you enjoy a starry Smoky Mountain night sky. 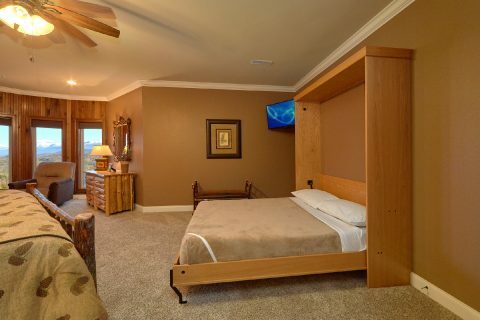 Once you're ready to get some rest on your vacation, you can look forward to retiring to the main level master bedroom that comes with a king bed, a wet bar with a wine fridge, and a walk-in closet. 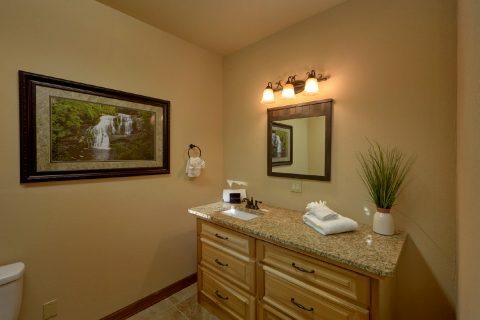 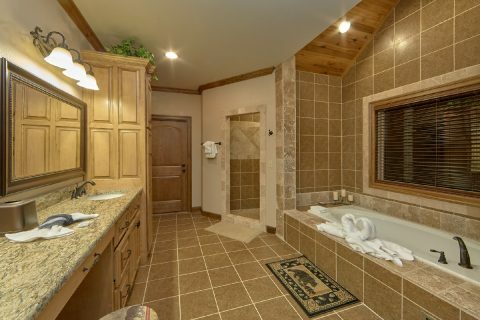 This room also boasts access to a bathroom with a jacuzzi tub, shower, and a double vanity. 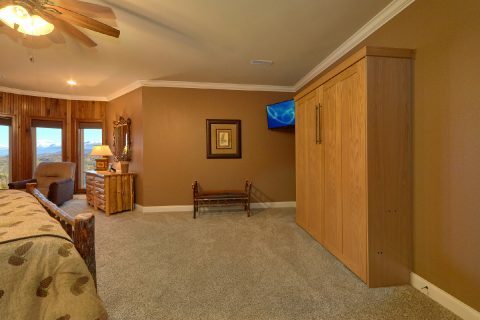 Additionally, this bedroom provides a twin-size murphy bed. 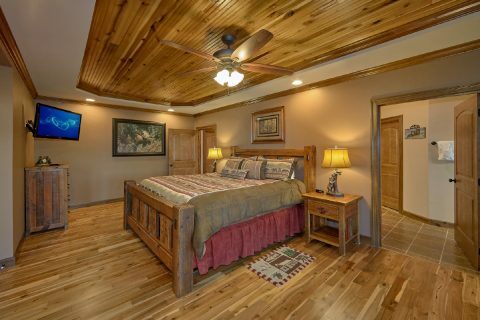 Take the grand staircase to the upper level and you'll find two more king-size bedrooms that each offer queen murphy beds. 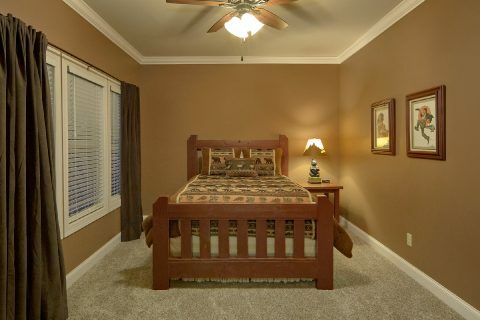 One of these king bedrooms even provides a full-size crib and a changing table for infants. 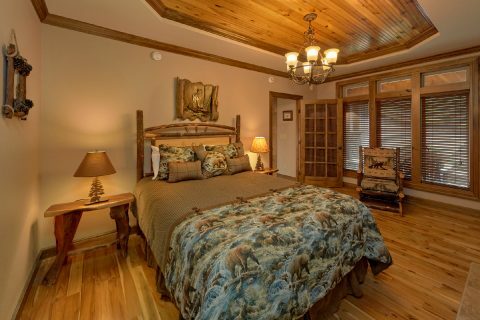 There's also a private bedroom with a queen bed on this level. 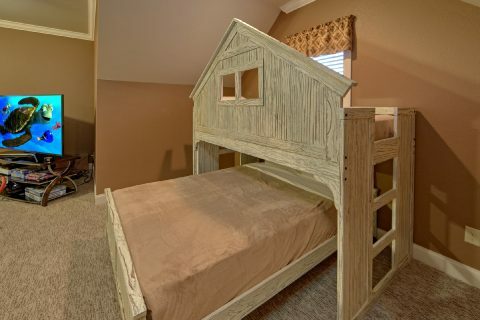 Nearby there's also a large room with a futon and a treehouse-style bunk bed with a twin over a full bed . 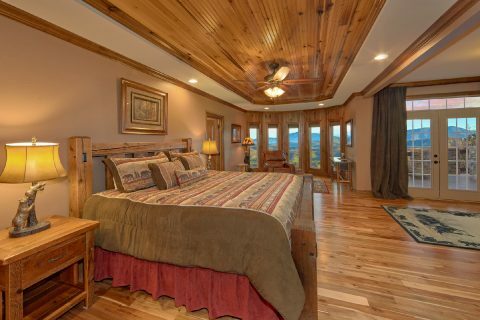 Altogether, "Bluff Mountain Lodge" sleeps up to 18 guests in comfort. 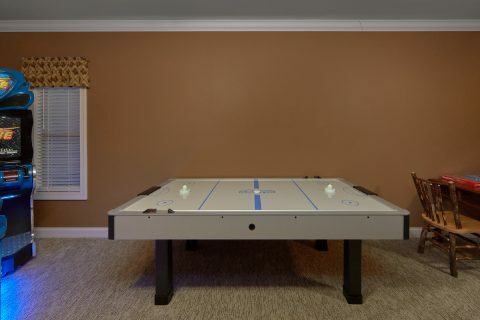 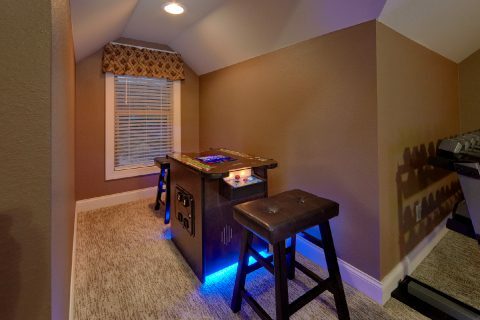 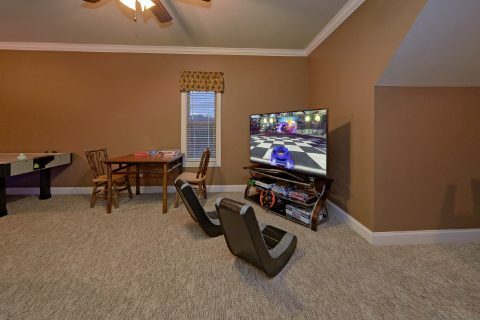 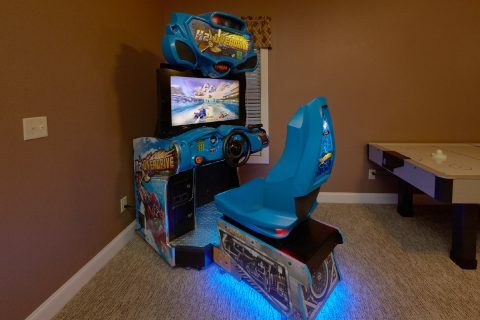 This cabin also features a game area with a television, an air hockey table, multicade arcade game, and a race car driving game. 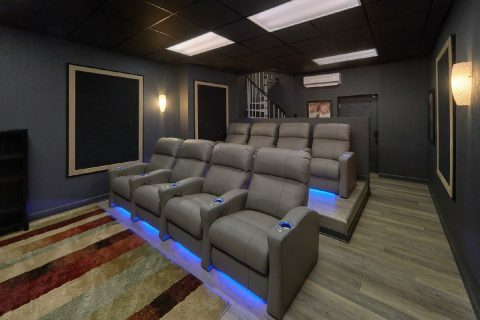 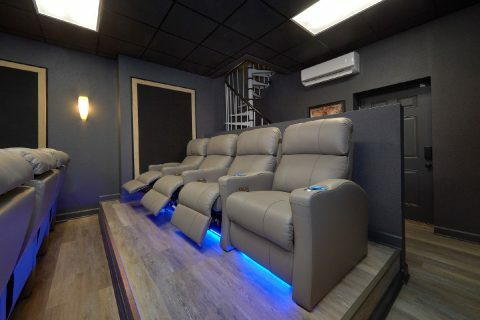 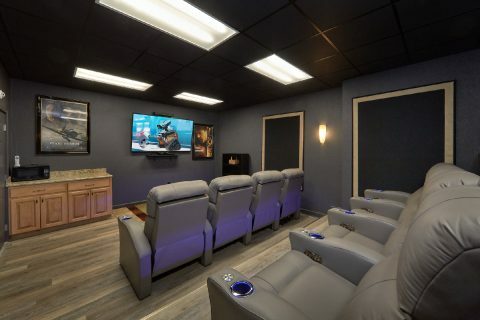 Additionally, a theater area on the lower level features an 80-inch screen and leather power recliners for enjoying your favorite films in style. 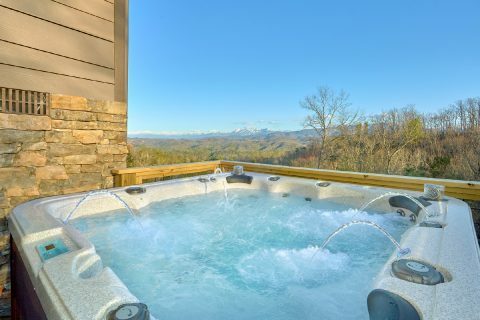 From here, you can step outside onto a back-patio area to enjoy your cabin's large 6-person hot tub complete with jets, blue tooth speakers, and LED lights. 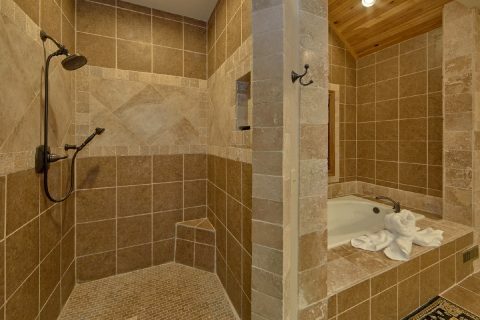 Lastly, this rental comes complete with practical features to enjoy during your stay like a gas grill, WiFi Internet, and a washer & dryer. 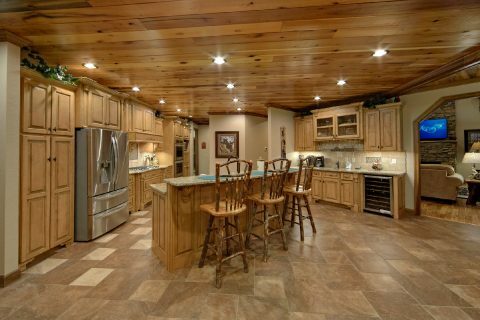 This spacious vacation home even offers a 3-car garage that features two full-size refrigerators for guests to use. 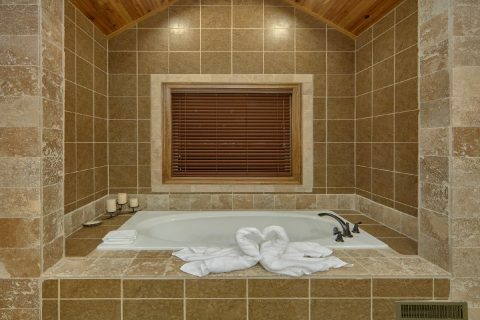 Best of all, you can save 15% on your nightly rate with our special discount! 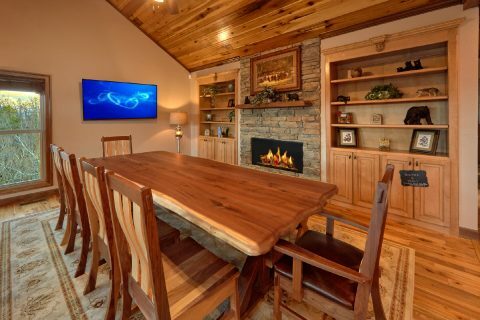 Simply check this property's availability to see how much you can save on your luxury getaway to the Great Smoky Mountains of Tennessee!